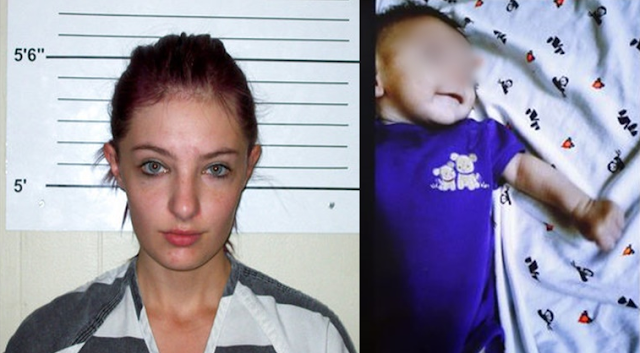 A mother will stands trial on death of her baby who died of diaper rash. The mother was arrested in August 2017 after medics found a lifeless baby in the swing in a dark room. Autopsy report shows the baby Sterling died of E. coli infection caused by being left in a maggot-infested diaper for up to two weeks. The attorney said that the baby's diaper had attracted by bugs that had laid eggs, which hatched into maggots. Report also showed the baby died of malnutrition, dehydration and the infection. During the trial, defense Koehn's lawyer argued that the baby's death was a tragedy, but not a crime. However the prosecution dumped the defence's claims, saying Koehn was an experienced parent noting that the accused's two-year-old daughter was also in apartment and was healthy. According to the emergency medical respondent Toni Friedrich, she was the first to arrive at the apartment after Koehn called 911 to report baby had died. Koehn showed no emotion when he led her to the dark, hot bedroom where the baby's body was, Friedrich recalled. The baby's "eyes were open, and it was a blank stare," she added. Friedrich checked the baby's chest, his clothing was crusty and when she moved the blanket, gnats flew up, she said.